At my age and having been involved in the arts all my life I have come across a great many fund raisers who, in the not for profit world, are known as Development Officers. Unfortunately, I have met very few who are very good. Often, when you check out an organization you will find the position of Director of Development is a revolving door. No sooner are those wonderful interviewees in office than it is found that the only thing they cannot do is raise funds. On the other hand if they are good at their job, they are such a rare commodity that they are offered similar positions in other institutions which they may find more attractive, so they leave. I don’t believe there are degrees or courses you can take to master the art of getting people to want to give up their funds. Some development officers, however, use their life experience to achieve that goal. 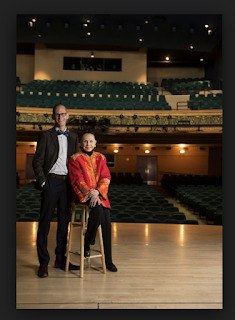 We are extremely lucky in Santa Fe to have had such a person join the Lensic Performing Art Centre. Her name is Laura Acquaviva. I sat down to lunch with her a short while ago to learn her secret. Though I have known her for a few years now, I instantly realized that on a one to one basis she is a real “people person”. I had to remind myself more than once that there was a reason for this lunch other than a friendly chat. It’s an attribute that every salesperson needs to have. What you want is for the prospect to forget what the bottom line is! When I asked about her training. She said that she had gone to Fordham University. I thought maybe she wanted to be a lawyer or a police officer which are common reasons for going there but her real reason was that she wanted to come to the Big Apple. She had lived in Scranton, Pennsylvania about 2 ¼ hours away from New York and never been! She was interested in Marketing and Music since she had studied dance and played the cello. She received her B.A. in Communication and Media Studies and then went back to Scranton where she would get a Master’s of Education degree from Marywood University. She taught in grade school for a brief period of time. I was curious how did Laura get to Santa Fe? She told me one of many similar stories you hear often out here. She followed a guy to Santa Fe and fell in love with the town instead! Because of her interest and experience in dance she became Managing Director of Cathy Roe Productions and part of the job was running their dance competition. A task that would require a lot of arrangements such as organizing participants, judges, prizes and an award ceremony. As we know education may begin at school and university but you only learn once you start working because experience is the best educator. Laura acquired a position at the Lensic Performing Arts Centre as the Programming and Events Manager. The Lensic, as a not for profit, has to do a lot for its audience besides performances such as fundraising for a gala every year and smaller events such as meet and greets with performers and at donor events. To my way of thinking if you are good with people you are half way, to being good at asking for something and after almost 5 years as Programming and Events Manager she was tapped in 2018 as the Director of Development. I understand that some fund raisers believe that if someone has just made a donation then they are ready to give again so with the form thank you, there is another solicitation. My reaction to that is often to immediately delete them from my donation list. 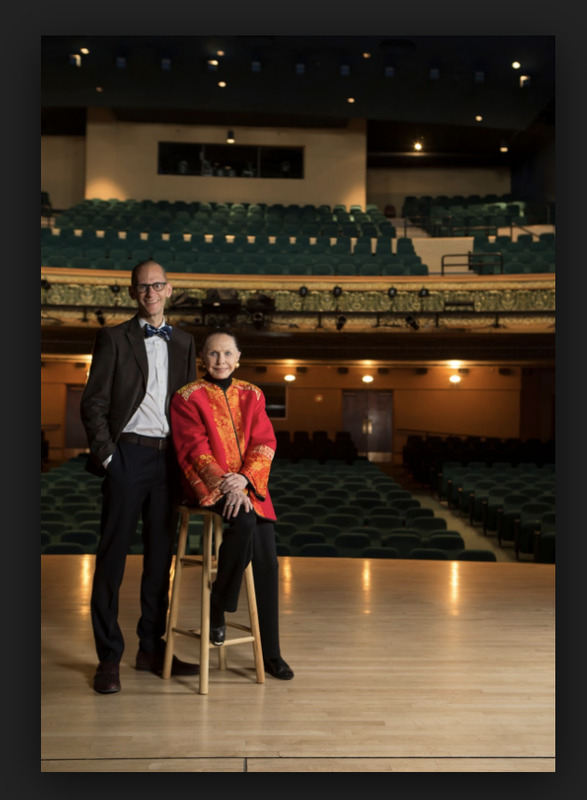 As I have mentioned before when we first made a meaningful donation to the Lensic we received a handwritten letter from the founder, Nancy Zeckendorf, as well as another member of the board and then got an invitation to lunch from a board member. When we could not make it we were not forgotten but received a second invitation some time later. Laura calls it “donor centered fund raising”. She does not tell donors what the Lensic needs until she finds out what interests them. In other words, if they like the idea of education of young people she tells them all that the Lensic does for 15,000 kids annually by bringing them to the Lensic for live performances and bringing, whenever possible, performers to the schools for a one on one experience. If certain parts of the entertainment industry might be of interest, there is always a need for funds to bring in a dance company or jazz group. There are special lighting effects or additions to the sound system that need funding or just the care and feeding of the artists themselves. Maybe the prospect of having the supporter’s name attached to a specific show or group of shows would be attractive. Laura goes out of her way to say that fund raising is a team effort and to say how much she has gained from working with founder Nancy Zeckendorf, from the Executive Director, Joel Aalberts and her entire support team. In sum, according to Laura Acquaviva, the most important aspect of successful fund raising is the opposite of selling. It is finding out what your prospective patron might be interested in buying. You just allow them to discover what they would enjoy doing with their spare cash! I really enjoyed this interesting blog, Thanks Gerald.